Colour: intense ruby red with purple tendency. Tasting notes: a mild and pleasant bouquet of wild berries (cherry), cofee, plenty spices (black pepper). The tannins are soft, mature and well balanced. A full mouthfeel, spices, a long and soft finish. 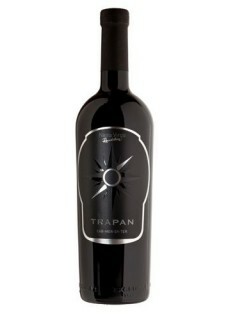 Love, energy and courage are the main drivers of the winery Trapan. Since 2005 to this day with hard work and perseverance, he has created 12 hectares of ecologically clean vineyards. "The learned knowledge and experience we transfer into the winery creating fine and elegant wines of a specific character, recognizable, with a special Mediterranean touch. Wine production is primarily a family business and requires a lot of attention and mutual understanding. Believing in the success of our mission, creating from the heart, giving ourselves to the entire production process, we found the right path that leads to achieving our target – to create a distinctive product, in wich even those of most refined taste will enjoy. The production process is a closed circuit that year after year is repeated, and we strengthen and renew our force and unity by doing something that gives us pleasure. For there is no greater happiness and joy in life than to wake up in the morning and be happy to go work, and work all day and enjoy in all its aspects, and when you liedown in bed at night and think of a new day, it’s not difficult to get up in the morning and the same job awaitts again."